My Survivor enthusiasm began all the way back in the first season when I caught the last few episodes. It was already a full-fledged phenomenon by that point, and I joined viewing parties with friends during the Australia and Africa seasons. The reality competition’s popularity has waned over the years, but a consistent fan base has remained and kept it rolling through 26 installments. My interest has been strong, though I did wonder during the low points if I should jump ship. Starting with the crazy Heroes vs. Villains season three years ago, the show has become must-see viewing once again. My interest has shifted more to the strategic side of the game, especially since I started writing recaps for Sound on Sight. Expressing my thoughts about the latest twists wasn’t enough, however. Was there a community of fans out there who enjoyed the show in the same way? Thankfully, I discovered the perfect outlet for my Survivor mania. One of its most acclaimed former contestants actually does a podcast covering the show and reality television in general. I started listening a few years ago, and it’s easily become one of my favorite podcasts. Rob Has a Podcast takes a light approach and has great fun delving into everything that happens each week. It’s very entertaining and makes keeping up with the show more enjoyable. The main reason is the self-deprecating host, who clearly loves the world of reality television. This isn’t a case where a former contestant can’t get over his past experiences. Instead, Rob Cesternino has found a clever way to use his insider status and create something entirely different in the process. The show has taken off in the past year, and this popularity has helped him to bring in big-time guests. Jeff Probst took an hour out of his hectic day to talk with Rob, and that’s just one of many great examples. Russell Hantz makes frequent appearances, and I’m sad to admit that my negative stance towards him has softened after hearing these discussions. Rob’s secret weapon is his wife Nicole, who brings so much energy to each appearance and has a big personality that’s just right for this podcast. Their back-and-forth discussions go beyond the show and are a lot of fun. 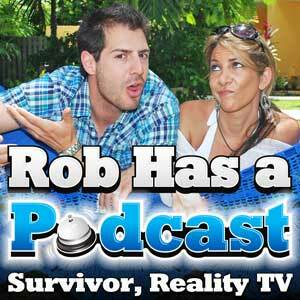 Every Thusday morning, Rob gets the chance to interview the player voted out that week. The conversations are usually 15-20 minutes and provide valuable insights about what we didn’t see on the screen. Later that day, a feature guest joins for several hours to go much further into the happenings. Recent stellar examples include Jonathan Penner, Sophie G. Clarke, Marty Piombo, and Sandra Diaz-Twine. Few guests disappoint, and even the rare awkward conversations are usually entertaining for that very reason. If that wasn’t enough, Rob and Survivor Tocantins runner-up Stephen Fishbach record the live “Survivor Know It Alls” podcast on Wednesday nights right after the episode. Their immediate reactions are a treat even when the episode fails to bring fireworks. When we have a case like Phillip’s surprise exit two weeks ago, their excited responses just add to the fun. Looking beyond Survivor, Rob also covers The Amazing Race with his resident expert Jessica Liese every Sunday. It’s hard to keep up with the crowd of great podcasts each week. The main reason for Rob Has a Podcast’s success is the way it remains smart while having a great time. There’s plenty of silliness on display, including some ridiculous impressions of Probst, Penner, and Boston Rob from the jovial host. Even so, the conversations also treat Survivor with respect and really explore the strategic decisions made by the contestants. It’s geeky but in the best way possible. If the idea of chatting about the show for hours sounds like a good time, this is the podcast for you. 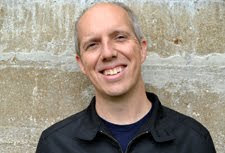 Rob frequently includes questions from listeners in the discussions, and it’s clear that he’s building a community of passionate fans. While the everyday person may ask “Is that show still on?” and anger people like me, there still are plenty who can’t get enough of Survivor. The show’s long-running success is because of this group, and Rob Has a Podcast is just the place for them.